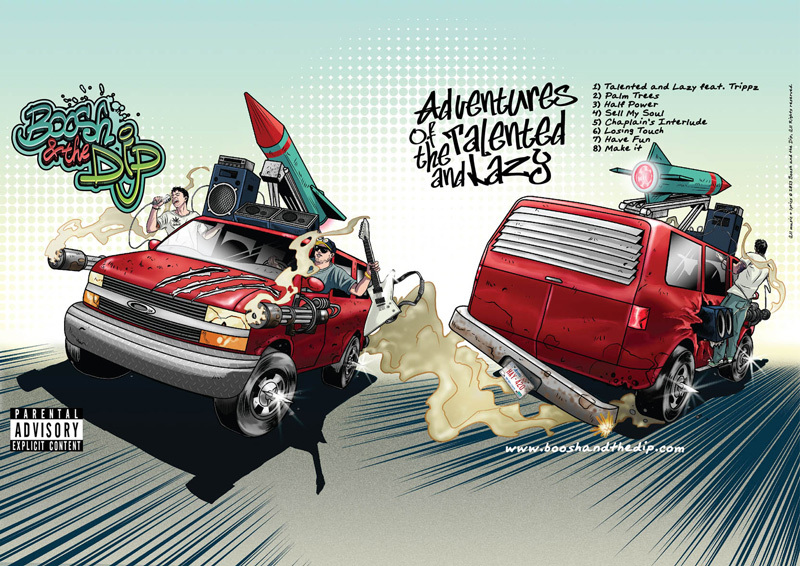 Some days are hard work for an award winning illustration and design studio... and then somedays you get a client that asks you to draw two musicians driving an astro-van that has giant claw marks, mounted machine guns, a PA system, and a rocket launcher. Top it off with a request for a tag style logo/package design and you get a dream assignment! Boosh and the Dip are a young Hip Hop sensation out of Edmonton. This over the top cover helped portray the youth and energy that B&D throw into their work. 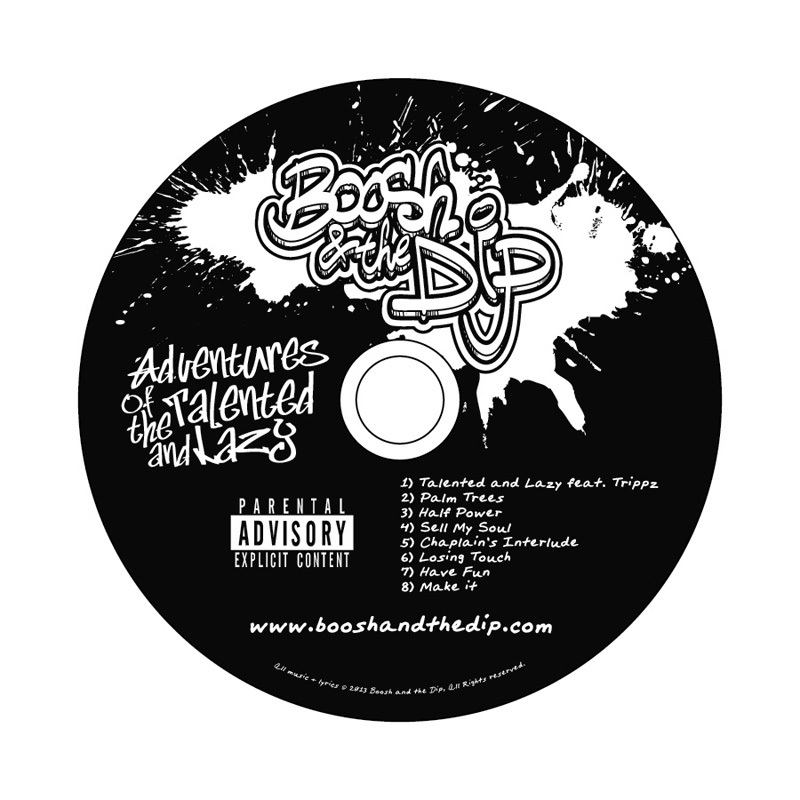 Go ahead, give them a listen at www.booshandthedip.com Parental Guidance INDEED!